Before the age of endless scrolling on phone screens, memories were made into instant photographs through the physical process of light interacting with chemically-coated film by means of a mechanical Polaroid camera. Brooklyn Film Camera (BFC) specializes in all things Polaroid and offers a variety of other analog cameras, films, and services. 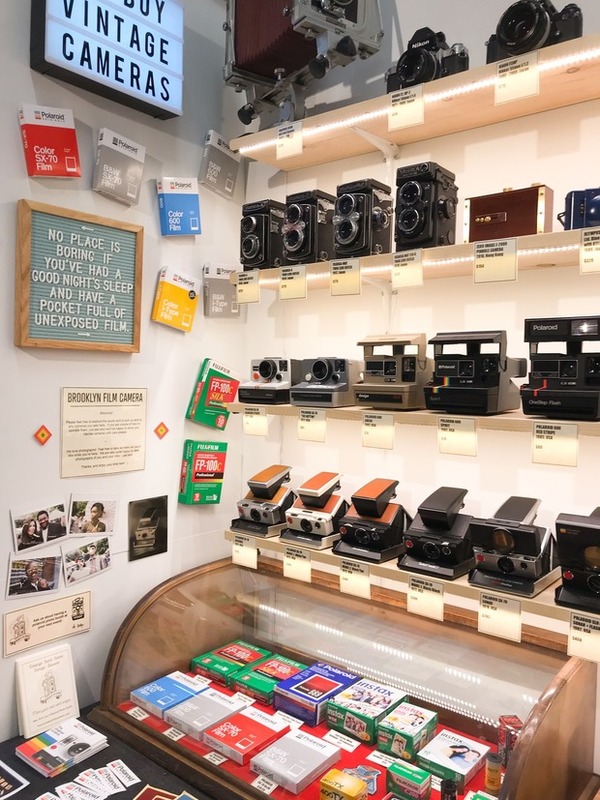 The indepently-owned small business specializes in classic Polaroid instant camera sales and repairs, a niche in a world that increasingly lives in the digital realm. Instant film and Polaroid technology is over 70 years old and has been a photographer’s staple for decades. 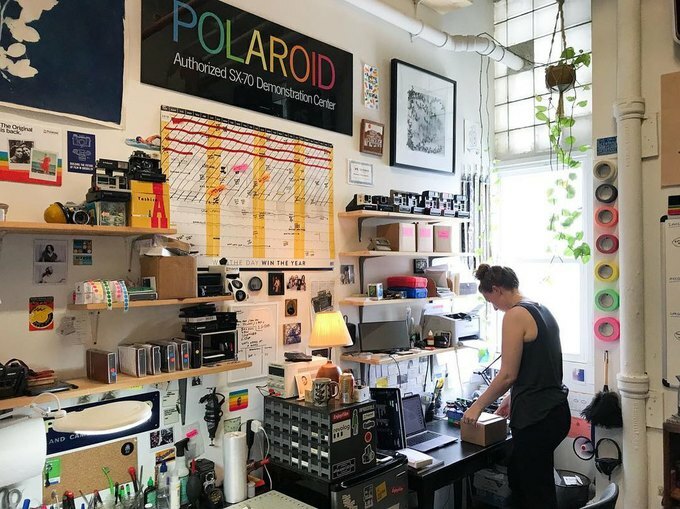 The BFC project began in Kyle Depew’s Bed-Stuy basement in 2014 and has since grown to become a coveted destination for analog photographers and Polaroid lovers both in Bushwick and worldwide. It all started after The Impossible Project (another effort to save Polaroid film) closed its New York City offices in 2014 to focus on European markets. Depew and other former Impossible Project employees decided to carry on their work independently, moonlighting as Polaroid technicians part-time. “It literally started as a basement project five years ago, I was buying cameras from Ebay and would measure shutter speeds, test aperture movements, film transport, and make sure everything was verified and a good working camera,” Depew, owner and founder of BFC, said. Using his knowledge of marketing, sales, and repairs from his time at The Impossible Project, Depew would refurbish and sell Polaroid SX-70 cameras at the Brooklyn Flea on weekends. Eventually the project outgrew the basement and needed proper studio space. 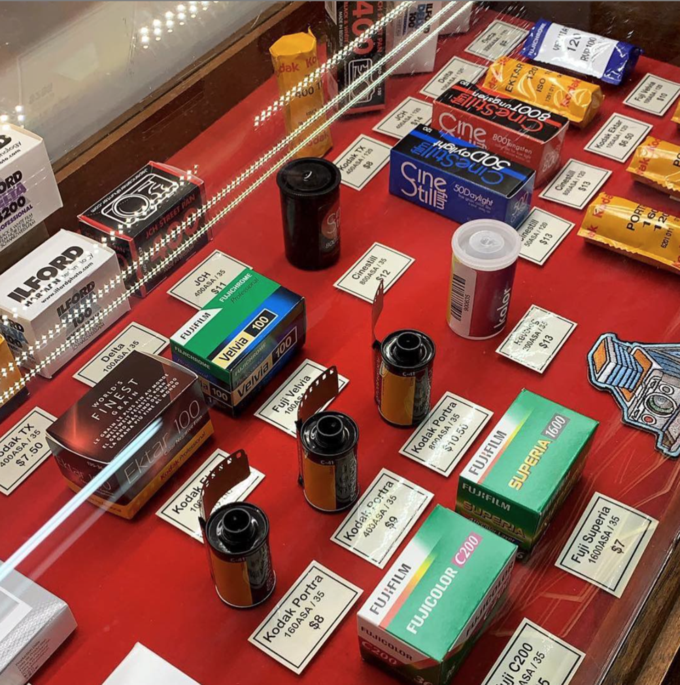 “Shooting and learning film, and learning how to use a machine in your hands is a rewarding art form and is something that can capture moments in a beautiful way on a beautiful medium that’s underappreciated these days,” said Depew. When you step inside the cozy studio, you enter a film photographer’s dream. Shelves are lined with classic vintage Polaroid cameras, display cases are stocked with all kinds of film and accessories.Crates of camera parts and tools are neatly stacked and organized, and you can see the open-concept workstations, where camera technicians tinker away at dissected Polaroid cameras with their internals exposed. Repairs are conducted in-house by certified specialists. As a former employee of The Impossible Project, BFC’s Lead Camera Technician Julien Piscioneri was trained in the Netherlands by old-timers at the last existing Polaroid factory in the world to comprehensively diagnose and repair these classic machines, most of which were manufactured 45 years ago and have developed mechanical issues through decades of disuse. “People have these old, old cameras that aren’t working and we are one of the few places that exists that fixes them,” Piscioneri said. 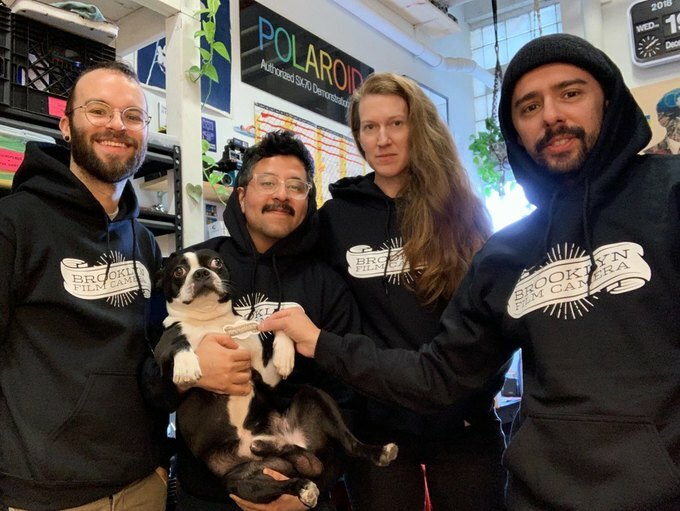 “It’s very complex, there’s so much going on inside because there are a lot of moving parts when you shoot.” The team estimates they have repaired nearly 1,000 Polaroid cameras since 2014 and have fulfilled almost 2,000 online orders. 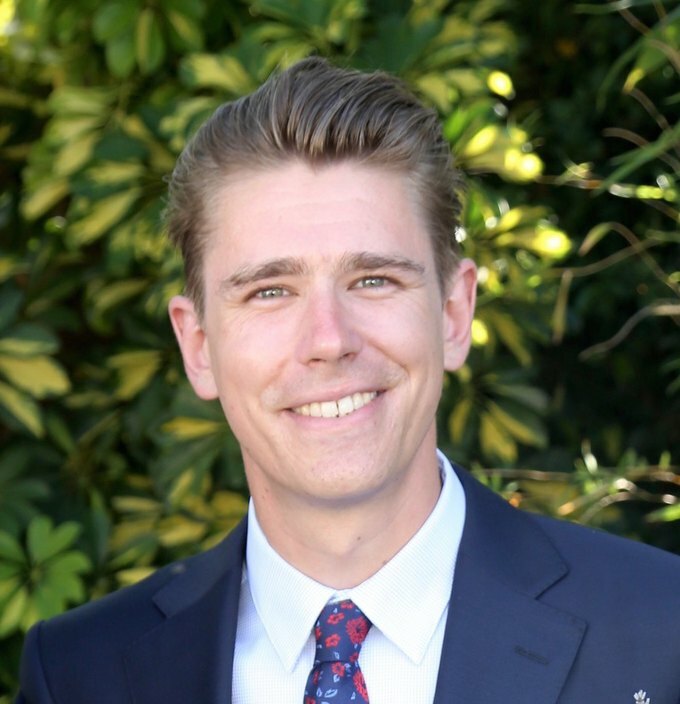 The new lab addition will offer full service 35mm and 120mm C-41 film processing as well as high resolution scans, with the plan to open for business in May 2019. Shoot evenly lit scenes. Polaroid film has a fairly low latitude in its contrast abilities, so avoid shots mixing extreme brights with dark shadows. Simplify the elements in the frame. Shots that pop on Polaroid have simple compositions without too much clutter and distracting background elements. Keep your Polaroid in the dark. After the frame emerges from the camera, immediately shelter it in darkness for three minutes to allow the chemicals to properly develop and not affect the final image’s color. Don’t shake your Polaroid. This is a common misconception but only applies to certain uncommon wet-peel processes, not the sealed integral process of SX-70s; shaking it will negatively affect the coloration. Sat-Sun: 1 p.m. to 6 p.m.
All photos courtesy of Brooklyn Film Camera.